Just before our daughter Lila was born, my wife and I became Modo members. We recently booked a car to travel from Kits to the Sea-to-Sky Gondola. We did three small hikes, but more adventurous spirits may enjoy the access to the back country. Co-op Layway plan very soon. "we continue to grow and i'm part of it!" Want to get more involved with your carshare co-op? Nominations for our 2015 Board of Directors are now open! The Modo board is seeking to fill two director positions (out of eight) this year for a three-year term. These vacancies will be filled at our Annual General Meeting in January 2015. All co-op members are eligible to run. Click to get the full scoop! 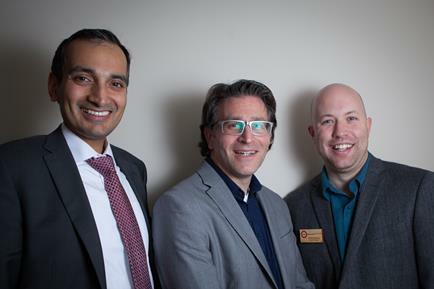 Pictured are last year's board electees Arpal Dosanjh and William Azaroff, and re-electee Joel DeYoung. 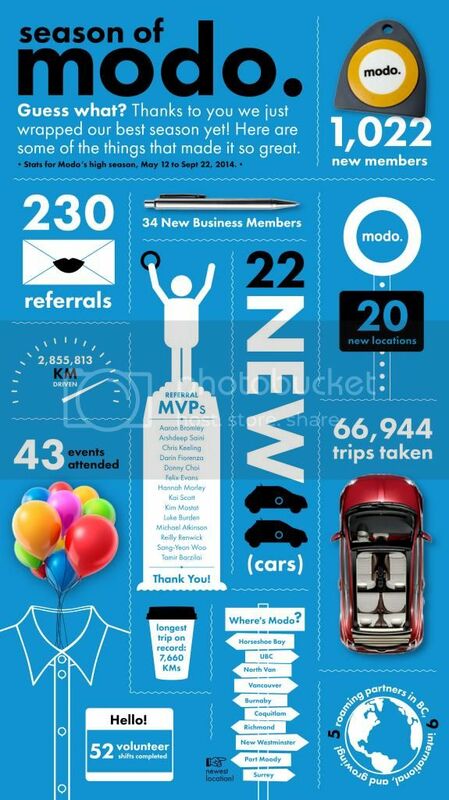 "Modo showcases how commitment to co-op principles can be synonymous with growth and strength. We have strong roots, continue to grow, and I’m a part of it!" Amy Severson has served on Modo's board since 2013. (That's her on the right sporting her Modo 8k medal!) Amy shares her motivations for volunteering her time and energy to the board on our blog. 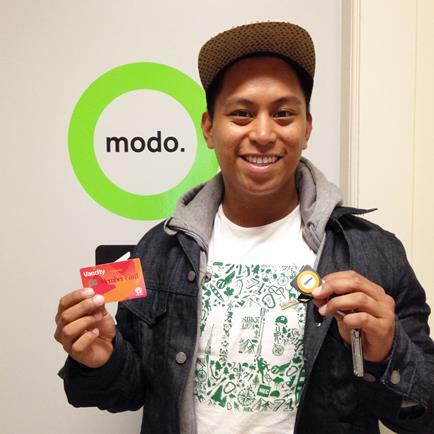 We're still buzzing after releasing news of a friendly merger planned between Modo and Victoria Car Share. The news has already spread quickly with articles in BC Business, Victoria Times-Colonist and others. Get the full story on our blog. Recently, a new member joined Modo with the co-op spirit in spades. Showing up to his registration with member cards for MEC and Vancity, Lawrence reminded us that co-ops work together to provide great service for all our members. To reward all new members like Lawrence, we're launching a new promotion: $50 in free driving for members of any BC Co-op! Refer a friend and we'll give you $25 in free driving too! 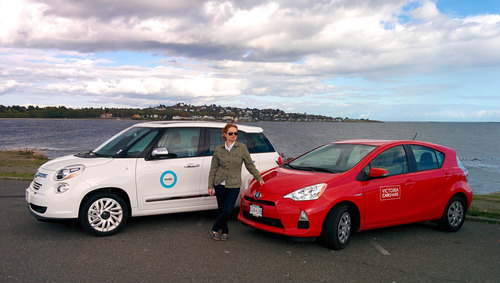 >> 7 FACTS about the proposed Modo and Victoria Car Share friendly merger. 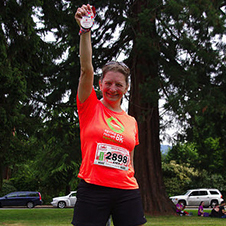 >> #MODO8K Registration is open for our annual footrace around Stanley Park. Sign up early to save, and make a pledge to our charity partner, Take a Hike. 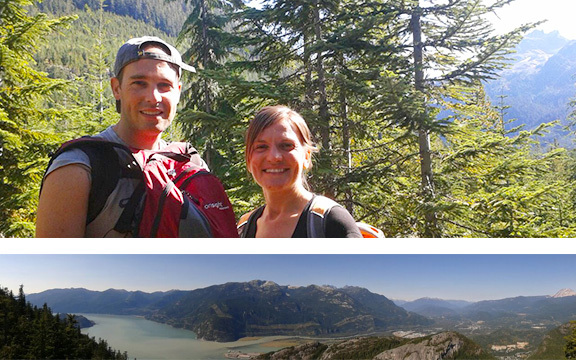 >> #LETSMODO Whether you're hiking Walter's favourite October trails or heading to the Sunshine Coast Art Crawl, we want to hear your #LetsModo story! >> BIKE TO WORK WEEK starts October 27, and HUB has some fantastic rewards planned. Register as an individual or a team to win prizes and track trips, kms and calories! >> GET HIGH Modo to the mountains all winter! Early Bird passes for Grouse and Cypress Mountain are on sale now. >> PRO-TIPS Where can I park for free? What's the deal with gas? You asked, we answered. Find a 2014 white Nissan Sentra (#576) instead of a 2012 Toyota Corolla. Find a 2014 blue Nissan Versa Note (#581) instead of a 2005 Toyota Matrix. Find a 2014 grey Nissan Sentra (#577) instead of a 2009 Nissan Versa. Find a 2007 silver Toyota Yaris Hatch (#225) at Pacific Centre, and a 2010 white Nissan Versa Hatch (#353) at Capitol Residences. Find a 2014 white Fiat 500L in our office parkade while it awaits its permanent home. We've temporarily placed a 2009 blue Nissan Cube at our designated stalls near the station. Find a 2014 white Toyota Prius V temporarily at this location. There's now a 2014 red Nissan Sentra (#578) instead of a 2010 Honda Insight. A 2013 grey Fiat 500 can be temporarily found at this location as it awaits its permanent home. Find a 2014 red Nissan Sentra (#574) instead of a 2007 Toyota Corolla. Find a 2014 blue Nissan Sentra (#576) instead of a 2012 Toyota Corolla. Find a 2011 orange Dodge Grand Caravan (#322) at our designated stall next to Residence Tower B. We've moved a 2011 red Nissan Juke to Edmonds SkyTrain from its previous home at Burnaby Green. Download our calendar for your iCal or Google Calendar! Modo is proud to sponsor Vancouver Farmers Markets. The BCCA and Co-operators are hosting a BBQ at Grandview Park, 11–2pm, (veggie options available) with booths featuring local co-op businesses and services, like Modo. Rain or shine under the big tent! After the BBQ, BCCA will host a free workshop at the Momentum Centre, 3–4:30pm, on the social economy and how co-ops are meeting community needs, locally and globally.